Niobium Coin is a safe currency, private and easy to handle . Your code is open and is available for free to all. The popularity of ethereum based cryptocurrency has grown to rival that of bitcoin over the past year. However, unlike bitcoin and other popular cryptographic currencies, ethereum has been taken up by many start-ups and established companies as a method of transaction. In competitive cryptocurrency market, ethereum is truly exceptional. This is because it carries both industrial and intrinsic value. In comparison, other electronic currencies operate in ways similar to gold. What this means is that they do not carry much industrial value, but individuals will buy it and sell on the basis of how much intrinsic value the holders believe the currencies possess. 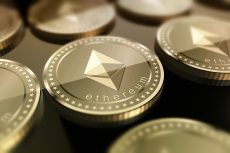 In consideration of the current popularity of ethereum, this article will explore the potential benefits of investing in ethereum based virtual currency. From a general perspective, digital currencies have a lot of benefits. They are secure, effective, fast, and highly resilient to hyperinflation. The biggest selling point for any form of these currencies remains their use of blockchain technology. Ethereum takes this all a step further, it is currently the best-positioned cryptocurrency platform for integration with current financial structure. Conceivably because it could ensure the continued survival of banks in an increasingly unsafe digital world. The banking sector has shown considerable interest in the ether, institutions such as the bank of America are currently working with the ethereum blockchain to develop applications that help secure financial transactions for its clients. The application wraps information into packets on the blockchain that can be retrieved only by the specific parties involved in the transaction. This keeps the information from being leaked, thus ensuring absolute privacy. The mainstream use of the ethereum platform is proof that transactions on the platform are highly secure. This level of security guarantees the returns on any investment made in ethereum based coins. 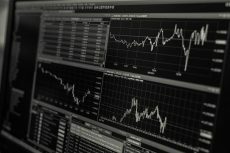 In the beginning of 2017, companies such as J.P Morgan, Thomson Reuters, and Microsoft, listed among the fortune 500, started a collaboration aimed at developing the ethereum platform. Their ultimate target was to integrate it into their businesses. The reasons for their investment were numerous based on the features that a Blockchain platform has to offer. Blockchain technology is efficient, fast and well-suited with smart contract applications. A smart contract, also known as a crypto contract, is a form of programming that directly initiates and directs the transfer of cryptocurrency between two entities, once the defined set of conditions are met. This has cemented the position of ethereum as the commercially viable platform, thereby increasing its market value. Ethereum is currently ranked as the second most popular cryptocurrency in the world and is set to overtake bitcoin in the near future. This popularity is bound to spur interest from third-party application developers who will look to integrate its functionality into their products. The ability of the ethereum platform to secure the current financial system is truly remarkable, and the rate at which it’s being adopted by key players within the financial sector is proof that it’s worth investment. Niobium cryptocurrency or token is created in the Ethereum platform to promote all the services that will be offered on São Paulo Virtual Business Currencies Exchange (BOMESP). BOMESP cannot be characterized only as a Brazilian exchange market. In the BOMESP, the companies may exchange their own assets such as tokens or virtual currencies for NIOBIUMs. The Niobium coin will act as the fuel currency for the BOMESP platform and will promote its appreciation.